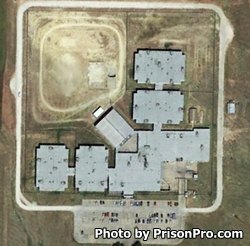 Estes Unit is a privately run minimum security prison located in Venus Texas. Management Training Corporation (MTC) is the private company that has been contracted to operate Estes Unit. The current maximum capacity of this unit is 1,040 male offenders. Inmates at Estes can take adult basic education classes and earn a GED during their incarceration. Offenders can participate in vocational studies that include carpentry, plumbing, electrical, culinary arts, commercial cleaning, and computer technologies. Substance abuse treatment, life skills courses, and various support groups are also available to inmates. One of the more unique programs offered at Estes Unit is an animal rehabilitation program which pairs offenders with dogs who have been neglected or abuse and are currently housed in a local animal shelter. The ten week program provides obedience training to the dog and benefits the offender in multiple ways. Eventually after completing obedience training the dog is adopted out to a new family. Visitation at Estes Unit is conducted on Saturdays and Sundays from 8am-5pm. Normal visits are two hours in duration, special visits are up to four hours. A maximum of two adult visitors are allowed per visit (children under 16 do not count as a visitor). Visits for inmates in general population are contact, offenders in segregation are limited to non-contact visits.